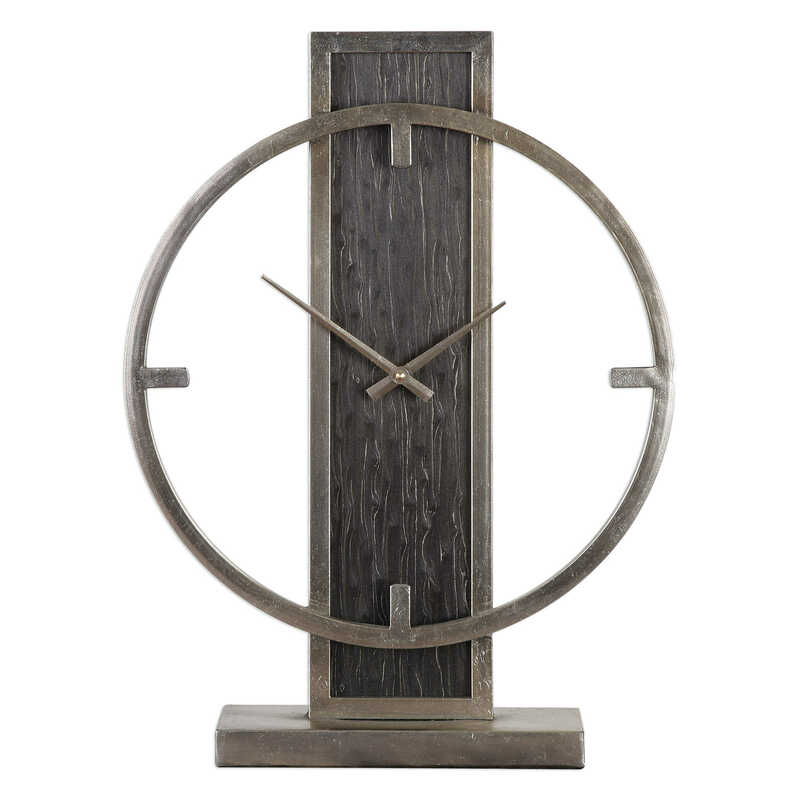 Unique Nico Table Clock from Uttermost features a lightly silver antiqued champagne frame and stand with an exotic looking, mottled black veneer accents. 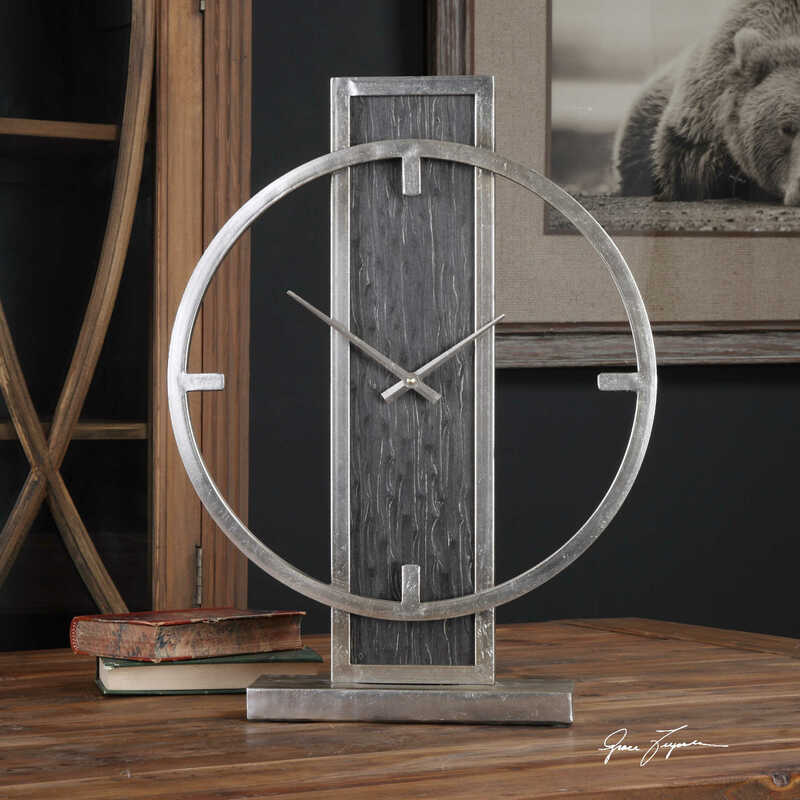 By designer Grace Feyock. 15" x 20" x 3"